This is one of our core priorities as the need for a new educational model becomes increasingly critical in Nepal. Massive strides towards universal enrolment have been made, however the quality of teaching and learning and therefore the outcomes for students vary widely across Nepal. We are addressing this in a number of ways, all firmly rooted in the new model of positive education and through model schools with trained teachers who can then become mentors for more and more teachers, again creating a network which no longer requires our support. Partner Schools – One of the ways we reduce fees for our Dream Catchers Scholarships is by partnering with schools to offer them soft skills and other support in exchange for discounts on fees for our students. We have around 15 partner schools and colleges. We offer them teacher training, life skills workshops for students rooted in positive psychology and various other support. Then enables us to work with schools to create more student focused learning environments and to introduce new methods of teaching which reach more students than simply our scholars. 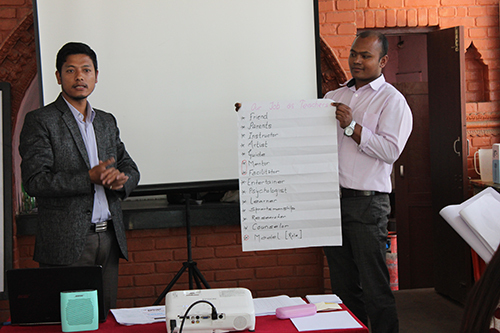 We also ask our teachers in partner schools to be mentors and we bring our village teachers to Kathmandu to train in our Kathmandu partner schools, enabling them to pay forward their skills and experience. Community Kindergartens – Working with a number of schools and students over the last 18 years, we recognised that many of the teenagers have issues with their working memory and other developmental skills caused by malnutrition and lack of stimulation when they were younger. Additionally, a lot of village families do anything they can to send their children to an English-medium school, resulting in a lot of stress on families’ finances and an ever-reducing enrolment rate in community schools. Working with community schools in Nuwakot and Panauti, we established 2 kindergartens, attached to the local government schools. 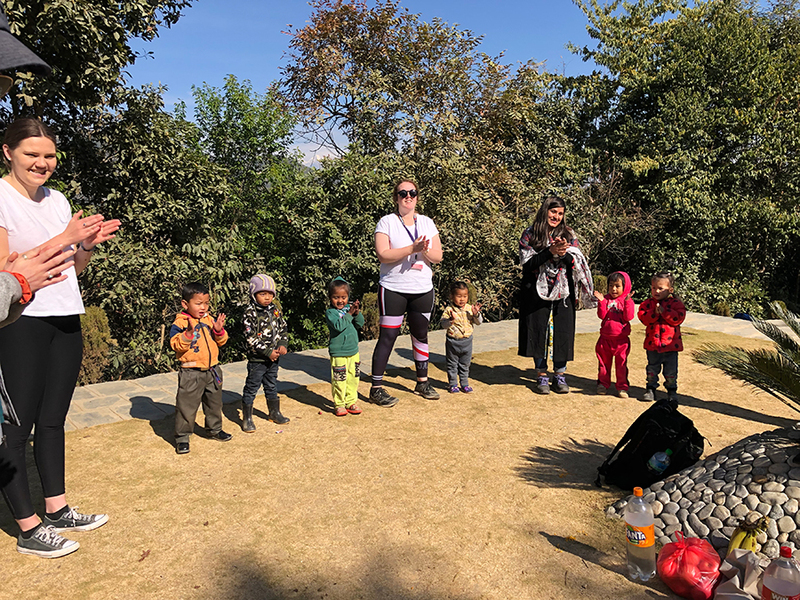 We brought the teachers to Kathmandu to train in our partner schools, and set up some child friendly classrooms and programs with English and Nepali elements. In both kindergartens, we provide a nutritious lunch to the students. Our goal is to create high quality, child friendly kindergartens, providing villagers with a viable option in which to enrol their children. As these students stay in school and continue to the next classes, the quality of the schools will be raised, keeping the villagers locally enrolled. Over time, we hope that they will be able to pay something towards their children’s educations, contributing to the sustainability of the local schools. We expect the communities to contribute to the lunches programs with our Nuwakot families providing the dhal for the children’s lunch. Community English Program – Nuwakot – Government schools rarely teach English to the students until class 4, and then only very basically. We wanted to give the students in our partner community school in Nuwakot and opportunity to practise their English, skills which open doors and opportunities in future. Our teacher spent a few months in Kathmandu training and now runs a very powerful English communication class for the class 4 and 5 students in the community school. The students go on outings, compete in trivia competitions, run daily assembly and communicate in English. They have even been writing letters to students in Australia in English! Several of the students have joined English-medium schools when they finish at the community school (which only goes to class 5) – a credit to Santoshi’s teaching and the success of the program. CSU – Student Teacher Program – We bring in student teachers from our partner in Australia, Charles Sturt University, to complete their practical training in Nepal, giving our teachers here a boost in confidence as they become the mentors, the ones with something to offer. We have run this program very successful 8 times now and the feedback has been extremely positive from both sides. 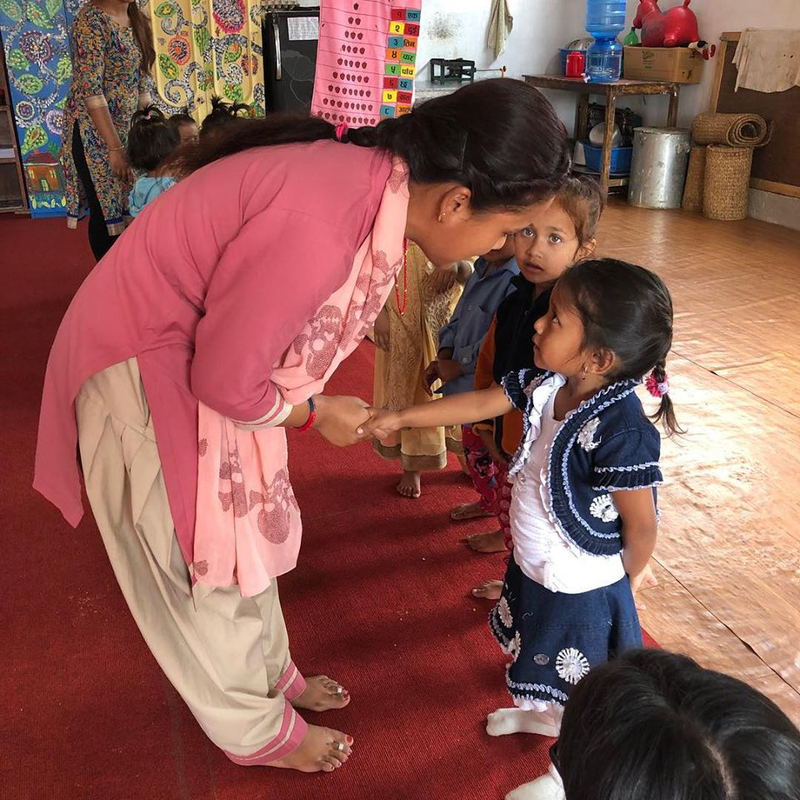 Our teachers in Nepal love that they are motivating and inspiring young teachers from Australia, feeling more confident in their abilities and to try new things in their classrooms. 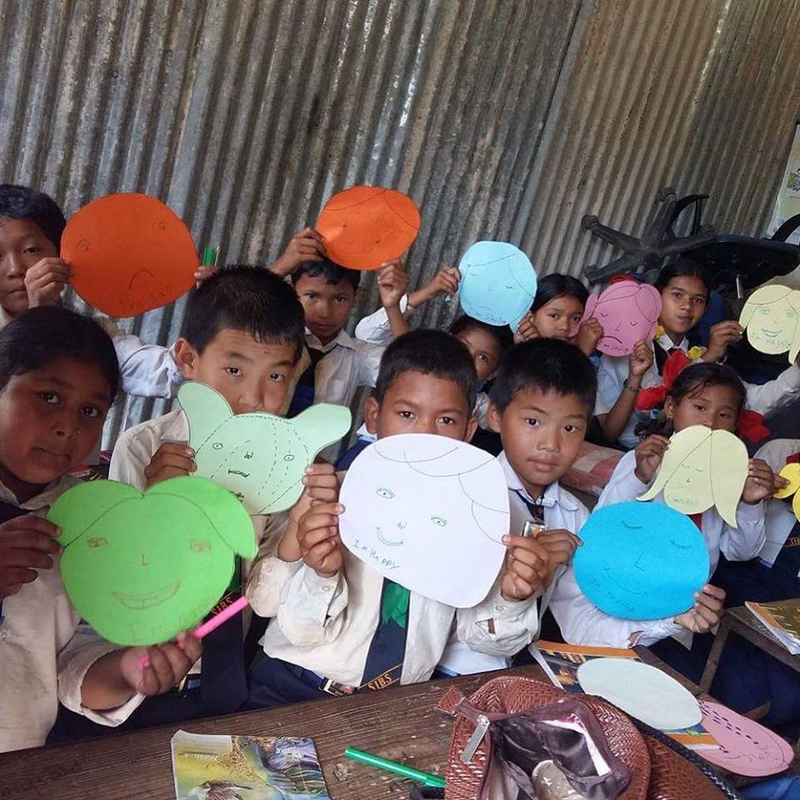 The Australian university students love learning how to teach without resources, relying on their own creativity and seeing the passion for studies in the students in Nepal. Many have gone on to teach overseas in London, Dubai and other places after graduation. © 2019 Mitrataa Foundation. All Right Reserved.